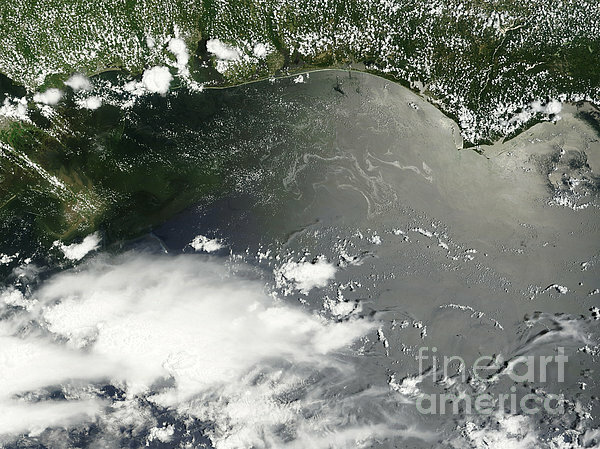 There are no comments for Oil Slick In The Gulf Of Mexico. Click here to post the first comment. 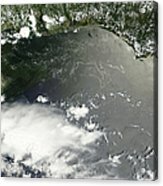 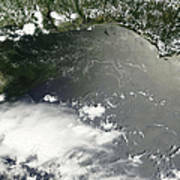 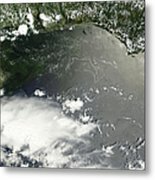 June 27, 2010 - Satellite view of oil leaking from the damaged Deepwater Horizon well in the Gulf of Mexico is visible in the sunglint part of this image.